Very few would have been surprised if the Kingston Cataraqui Clippers laid down and died Saturday at Kia Training Ground at Downsview Park. 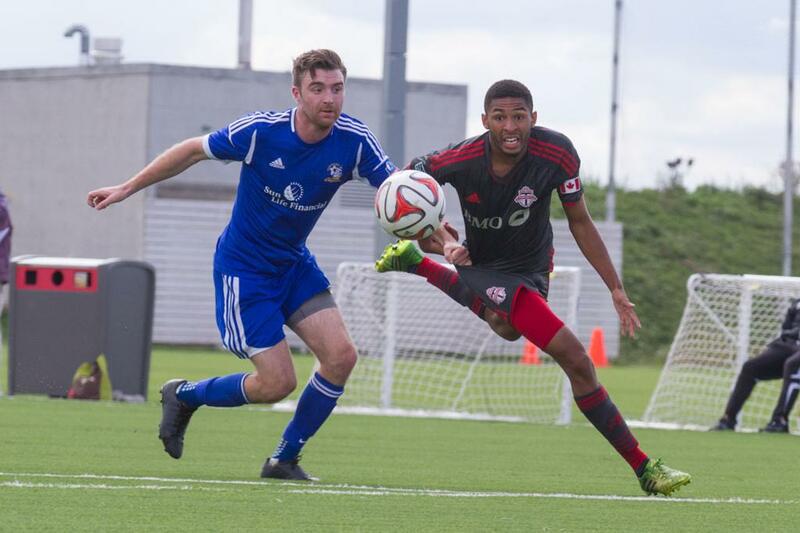 After all the visitors were crushed 11-0 – that’s not a misprint – in an L1 Cup match exactly one week earlier when they came to town to play Toronto FC Academy. But, on this Saturday, with a league championship on the line, Toronto FC Academy had to work incredibly hard to earn themselves a 3-1 victory over a determined and surprisingly tough Kingston side. 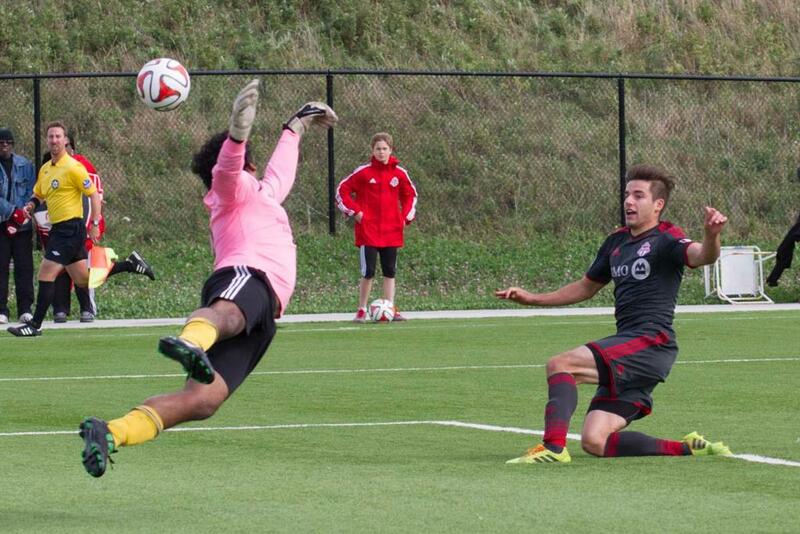 None played better than Clipppers' keeper Navi Sidhu, the same man who allowed all eleven Toronto goals the week before. This time, he made save after save, and was undoubtedly the man of the match. Kingston's roster featured a a number of players who didn’t make the trip the week before. The swirling and bitterly cold winds also helped even out the match for both sides. In fact, it was just 1-1 at the break, with Kingston opening the scoring just a minute in, after a Jason Massie strike caught the TFCA defence sleeping. But the rest of the game’s goals, and nearly all the chances, belonged to the home side. Marcos Andres Nunes, who scored a hat-trick last week, scored again this week. And the goal that wound up giving Toronto FC Academy the championship was actually a Kingston own goal, coming off the head of defender Stefan Szwarek in the seventieth minute. That tally put TFCA up 2-1, before an insurance goal a few minutes later by Alexander Pena put the League1 Ontario title on ice for Toronto FC Academy. It’s been quite a season with five draws to go with ten wins, an unbeaten run that will be tested next Saturday when TFC Academy heads to Windsor to finish its schedule. Toronto is also first in Group A in Cup play, and will host an L1 Cup Semi-Final on October 16. Should it win its semi-final, Toronto FC Academy will play at BMO Field, in the L1 Cup Final, which is scheduled for Sunday, October 19. 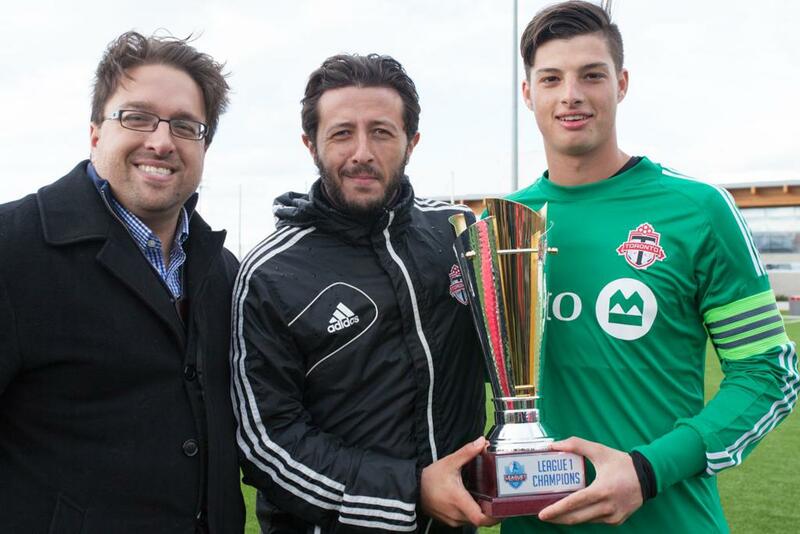 For head coach Michael Stefano, winning the league title in the inaugural League 1 Ontario season was testament to a talented Toronto FC Academy squad. “It’s always good to see your hard work come to fruition. The boys have obviously worked hard for it. It’s a goal achieved for them. At the end of the day, the (undefeated season) happens as a result of us going about our business every week,” said the coach, as he got the Gatorade treatment on a cold day from his delighted players. Goalkeeper and captain Phil Di Bennardo was thrilled to be part of a championship and undefeated club – though there is still one game to play. “It makes me feel great. We come in every day and put in the work and it’s great to have success come out of it. We had an objective to be League1 champions and we are happy to get it,” he said. 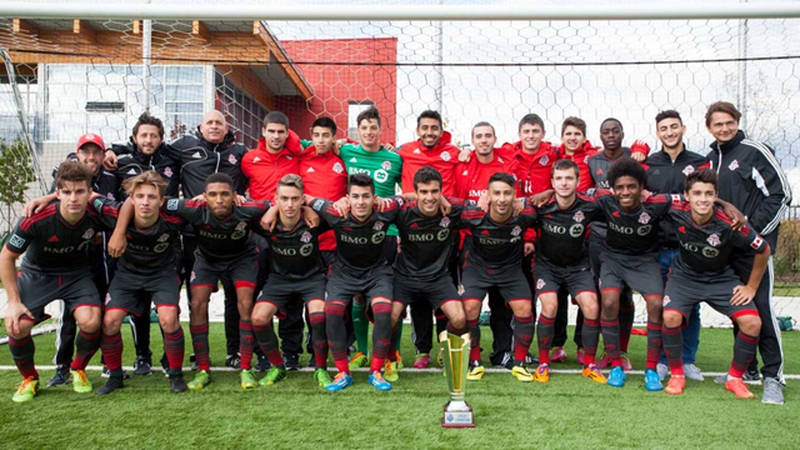 League1 commissioner Dino Rossi was on hand to present the league championship trophy to Toronto FC Academy, and praised their unbeaten season and the inaugural League 1 campaign. “This has been very successful by almost every measure you could expect. 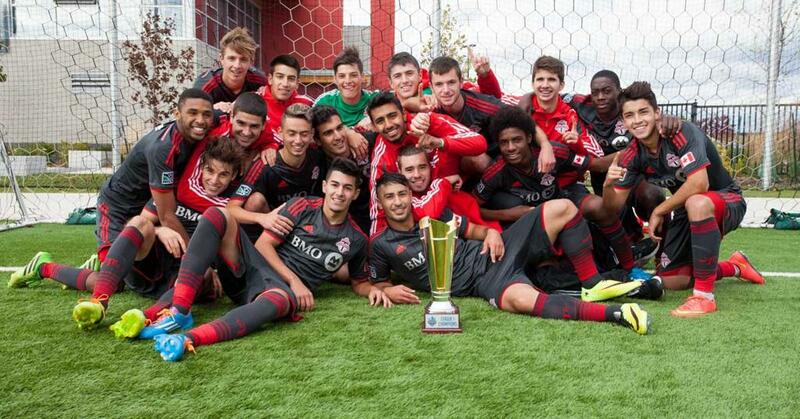 TFC, from start to finish, have been the top team. This is a deserving result. They’ve been great, a very talented young team. I think they will have a lot of talented young men graduate to the next level, whether it be MLS or another level,” said Rossi. “We have had a lot of good stories in the league this year and I think we have to tout them all. TFC has been the best on-field team, but there have been a lot of good teams. If you look at the standings, it’s very tight at the top but Toronto has been the most consistent,” he said.